Hairdressing Live is the first online LIVE hairdressing academy, providing you with the best hairdressing education at a price you can afford. 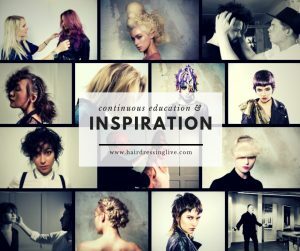 They are committed to making quality hairdressing education accessible to everyone. Their online courses will allow you to hone your hairdressing skills and become an expert, learning from some of the most influential names in the business. Choose from our diverse range of live hairdressing courses and watch them from the comfort of your own home, in the salon or even on the move. We have revolutionised hairdressing education by making it accessible to everyone at the price you can afford. They’ve enlisted some of the world’s top hairdressing stylists, session hairdressers and colour specialists for all of their courses. You’ll get to learn the tricks of the trade from some of the world’s most accomplished hairdressers. What’s more, you can tune in and watch the live tutorial from the comfort of your home or workplace. You’ll also be able to interact with the hairdresser leading the tutorial via a Q&A session at the end, enhancing your learning experience through a “virtual classroom” effect. When you purchase a ticket for a live event, you will get LIFETIME ACCESS to the course so that you can go back to it time and time again. I highly recommend you choose Hairdressing Live as your No.1 Live platform for online hair education. Click the link to check out a special How To Cut It deal on Hairdressing Live!